Although most food festivals cater for your stomach and taste buds, some food festivals can be a bit strange, and either make you choke with laughter or show you the ways in which food can be used for various unorthodox purposes. Celebrate the weird side of food, either by eating it or just laughing at it, while attending some of the weirdest food festivals in the world. Spam is hardly what one might consider a delicacy, and the canned pink meat gained popularity during WWII, when resources were scarce and you learned to make use with what you had. 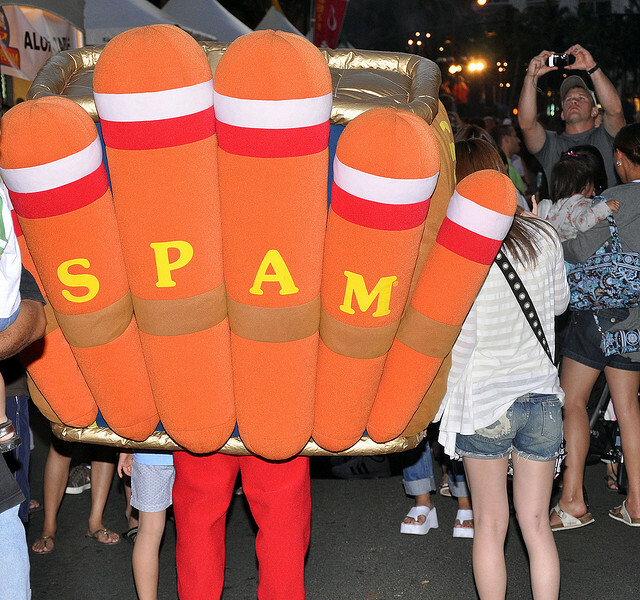 The spam fever has subsided by now in many parts of the world, but not in Hawaii, where the stuff still has a large following, enough to warrant a festival in spam’s honor. 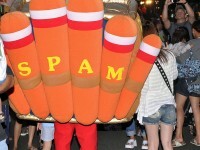 In April, the festival draws huge crowds, there are Miss and Mr Spam pageants, and chefs come up with new recipes using the canned meat. Spam burgers and spam sushi abounds, of course. The tomato throwing mayhem that is La Tomatina in Spain is known world-wide, but that is by no means the only fruit-throwing festival that people have come up with. 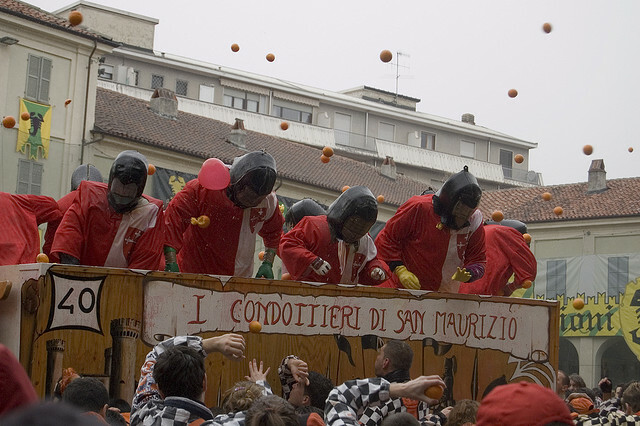 The Battle of the Oranges has its origins in the 12th century, and the people of Ivrea have been celebrating it for a long time. The townspeople (and the tourists who come for the citrus fight) split into nine teams that even have their own uniform. The battle is merciless, and oranges can leave quite a few bruises so make sure to hone your dodging instincts. The carnival that takes places before Fat Tuesday in the Spanish city of Vilanova i La Geltrú is a nightmare for dentists, and a dream come true for everyone with a sweet tooth. 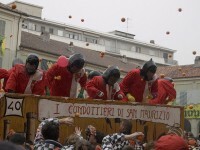 To put it simply, the whole carnival is a massive candy fight, with free pies given out to children and sweets and boiled candy rain down from balcony. The layer of sweets on the street can be so thick that your foot will get stuck in the muck! Here’s a food festival that requires a stomach of steel, or at least complete insensitivity towards the sad end met by animals trying to cross a busy highway. While this strange festival in West Virginia doesn’t actually employ any actual roadkill, the dishes are made with meat that you don’t often see on restaurant menus. Sample the offering of biscuits with squirrel gravy, teriyaki bear, or armadillo tacos. The scenic Cotswolds in England are famous for their rural scenery, but that’s not all of it, because there’s also a wacky festival or two to attract visitors too. 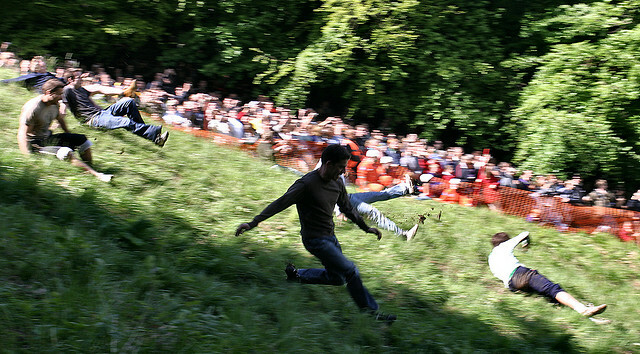 The Cheese Rolling festival in Cooper’s Hill attracts cheese lovers and cheese haters alike. 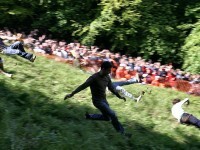 as long as they are interested in rolling a Double Goucester Cheese down the hill and running after it.